So now let’s get to the interview! Ready? Ok, let’s go!!! Celinda: First of all I would like to thank you so much for agreeing to do this interview. Personally I am such a huge fan of your music, and I know that my readers are excited to hear about all of your new projects. Since we are on the topic of music, what/who would you say originally sparked your interest in music? Also, which bands/artists have influenced your music that would surprise your fans? Lisa: That’s such a huge question. There are so many musicians and performers who inspired me. My family, the music around me growing up, my friends’ taste in music, the music I was played at school and the music we sang and played at school, music I learned in piano and later guitar lessons, music on the radio. Wow, so much music all around me. I usually think of The Police as the band that made me want to play guitar in a band and write music. I also loved David Bowie’s dramatic singing, writing, storytelling, and all-around aura. I’m hugely influenced by Led Zeppelin, Olivia Newton John, The Cure, and soft pop from the 1970’s like Bread. Celinda: I can definitely hear all of those influences in your music. So, how does it feel that Stay (I Missed You) is still such a recognizable and beloved song 22 years after its’ initial release? Lisa: I love it. I think it’s incredible that people connect with me and my song so many years later. People really have sweet nostalgia as well as a current identification with the song. I think that’s why it’s still so powerful so many years later. Celinda: Now let’s move on to the live action acting you’ve done on television and for films. Did you always want to foray into acting or was it something that you grew to love later in life? Lisa: I always wanted to be actor, maybe even before I wanted to be a musician. I like the idea of being able to try on different characters and jobs and personalities. (That just sounded crazy.) I think it’s amazing to put yourself in another person’s shoes. I loved doing theater in school and college and always studied theater during the summers. I still use my acting training a lot during live performances and interpreting my own songs night after night. I still hope to spend more time training and doing more acting soon! Celinda: That’s so exciting, I know I speak for all of your fans when I say we’re excited to see which acting projects you might take on in the future! Along with your live action acting, you’ve also voiced numerous characters on various videos games and television shows such as: ‘Spider-Man: The New Animated Series’, ‘Jake and the Never Land Pirates’, ‘Doc McStuffins’, etc., do you feel that your experience as a recording artist has helped you become more comfortable and confident as a voice actress? Lisa: My acting experience coupled with recording music in the studio has really come together for voice acting. It’s a place I feel really comfortable and love the collaboration of working with producers, writers, directors, and engineers to come up with the right sound for the animated shows, commercials, and other voice work I do. Celinda: I would like to take a moment to mention that I love your eyewear line; all of the pieces are gorgeous and very fashionable. Is there a story behind the creation of your eyewear line, or is it something you’ve always wanted to do? Lisa: The eyewear line is a dream come true. I’m a huge fan of glasses and finding the perfect pair for myself! I think glasses can add so much to a person’s face and can help express how a person sees life and how they relate to others. I love that my eyewear line can help women look beautiful, stylish, flirty, classic, and confident. People look to me for that and now I can finally help people. Literally, fans and people who like my glasses and my look stop me on the street to talk about glasses. I thought it was time for me to get more involved. We have lots of tortoiseshell, pops of color, shapes and sizes for different faces and skin tones. I love when people tell me that they wear their glasses because I wear my glasses. Celinda: All of the pieces are amazing; you definitely have a great eye for fashion. Moving on, I would like to firstly congratulate you for all of the accomplishments that your organization ‘The Camp Lisa Foundation’ has achieved; it is truly inspiring to see artists give back. What would you say has been the most rewarding part of ‘Camp Lisa’, and what do you hope the foundation will accomplish in the future? Lisa: It’s amazingly rewarding knowing that kids are going to have a summer camp experience, helping them build their confidence and character as well as connecting them to summer fun. I hope the foundation can continue to send more kids to summer camp! Buying my Camp Lisa record, my “Wake Up!” Blend coffee from https://www.coffeefool.com/collections/charity-coffees and making direct donations to me through The Camp Lisa Foundation through www.LisaLoeb.com are great ways that you can help! Celinda: Your foundation’s mission is truly beautiful and will definitely continue making a positive impact on numerous children. So I read on your website that you earned a degree in comparative literature from Brown University; did you always aspire to become an author? Also, what inspired you to write children’s books? Lisa: I really should have studied theater, music, psychology- all areas that interested me the most, but at the time I felt I needed a liberal arts major, and that was it. I’ve always enjoyed interpretation, and meta-thinking, and overthinking, so it seemed like a good major. I think it’s important to spend quiet connected time with kids, away from the TV and the computers and phones. These illustrated books help a parent/caregiver/teacher do just that. These books are fun to explore and read and re-read. I made two kids’ books of lyrics, activities, and recipes for kids ‘Lisa Loeb’s Silly Sing-Along: The Disappointing Pancake and Other Zany Songs’ and ‘Lisa Loeb’s Songs for Movin’ & Shakin’: The Air Band Song and Other Toe-tapping Tunes’ and I think a lot of those songs would make really great board books one song at a time. I have a children’s book up my sleeve now too! Celinda: That’s so interesting! I know we’re all super excited to read and hear this new book! Moving back to the topic of music for a second, your singles ‘3,2,1 Let Go’ and ‘The Disappointing Pancake’ will be released on 7inch vinyl on July 8th, 2016 in Canada via Blacktop Records. Personally I love the throwback feel of vinyl that you just can’t get with digital or even cd releases, but what inspired you to release these singles on vinyl? Lisa: “3,2,1 Let Go!” is the kind of song you want to hear on vinyl, and since there’s only one song on each side, you really can focus on listening over and over to each song, since once you hear the songs, you’ll want to listen over and over. ; ) “The Disappointing Pancake” is one of my most popular songs, taken from both the ‘Camp Lisa’ record and the ‘Silly Sing-Along’ book, so I thought I’d highlight it here on this special release. Plus, even though it was originally written for kids, I think grownups enjoy hearing it- a story that’s different from your lost love song. Celinda: Thank you again Lisa for taking the time to speak with me today, it was truly an honor. Lastly, is there anything you would like to say to your fans who are reading this interview? Lisa: I can’t wait to come to Canada! It’s been really too long since I’ve been there. Yay! Yay for us. I can’t wait to see you! All photos and information used in this blog belong to Lisa Loeb, lisaloeb.com, Twitter, YouTube, lisaloebeyewear.com, Spider-Man: The New Animated Series, Jake and the Never Land Pirates, Doc McStuffins, Stan Lee, Steve Ditko, Mainframe Entertainment, Adelaide Productions, Sony Pictures Television, MTV, Chris Nee, Brown Bag Films, Disney Junior, Disney-ABC Domestic Television, Bobs Gannaway, Disney Television Animation, Mercury Filmworks, Bardel Entertainment, Stay (I Missed You), RCA, Juan Patino, Blacktop Records, Ben Address, and all other original owners. I do not own anything in this blog. If any people, corporations, businesses, companies, etc, were not previously given credit for their work, they are given credit now and their previous absence was unintentional. All opinions expressed in this blog are my own. I wrote this blog for entertainment purposes and no copyright infringement is intended. 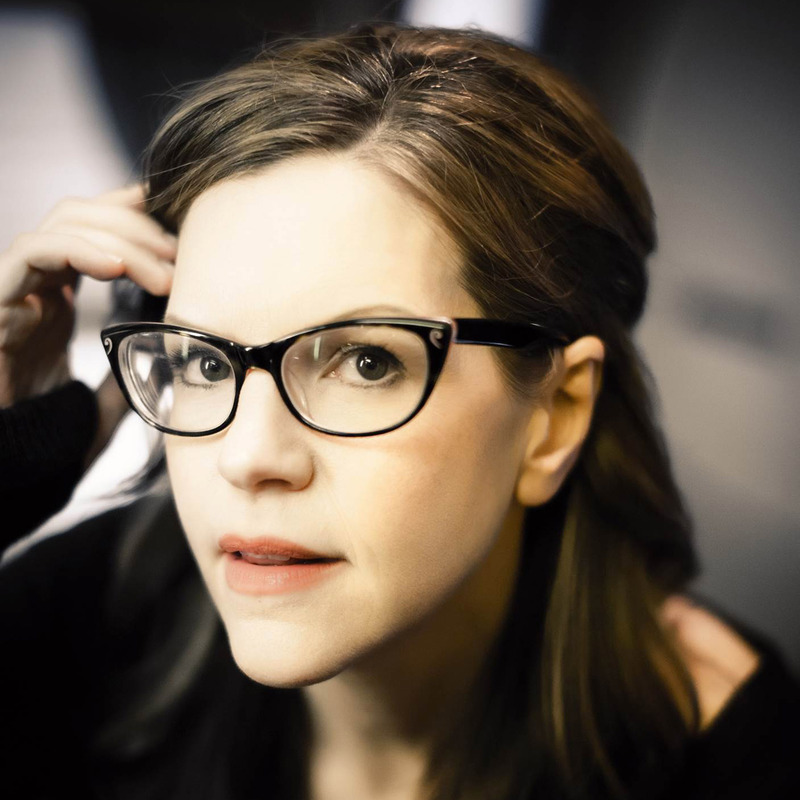 celindareyesblog June 13, 2016 1 Comment on Monday Memos: Interview with singer/songwriter/actress/fashion designer Lisa Loeb. Category: Interviews, Monday Memos. Tagged: Adelaide Productions, artist, Bardel Entertainment, Ben Address, Blacktop Records, Bobs Gannaway, brown, Brown Bag Films, Canada, Chris Nee, Disney Junior, Disney Television Animation, Disney-ABC Domestic Television, Doc McStuffins, grammy, hit, i missed you, interview, Jake and the Never Land Pirates, Juan Patino, Lisa Loeb, lisaloeb.com, lisaloebeyewear.com, Mainframe Entertainment, Mercury Filmworks, movie, mtv, muisc, new, nominee, RCA, single, Sony Pictures Television, Spider-Man: The New Animated Series, Stan Lee, stay, Stay (I Missed You), Steve Ditko, tv, twitter, university, vinyl, youtube.